In addition to addressing Wi-Fi and cellular handoff issues, the upcoming WatchOS 4.1, which is expected to release at the end of the month, will also add a new blue button on Control Center to toggle Wi-Fi on Series 3 Apple Watches with LTE. As noted by CNET in WatchOS 4.1 preview, the toggle button lets you use cellular even when the watch is in range of a known Wi-Fi network. 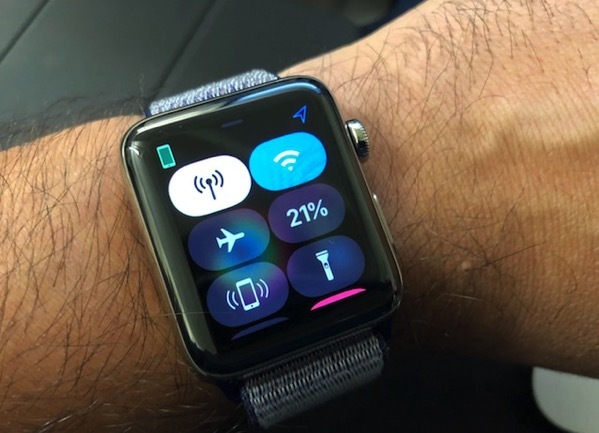 “I’ve been using a preview of WatchOS 4.1, and I noticed the new blue Wi-Fi toggle button on my Apple Watch Series 3 with cellular. The toggle button is just for added control. The WatchOS 4.1 update will also bring music streaming over cellular and Wi-Fi via Apple Music and iCloud Music libraries, as well as a new streaming Radio app to Apple Watches.